How Much Does It Cost to Clean Tile Floors? If you have tile and grout as part of your business space, you probably already know that they are going to need a little extra cleaning focus. Grout can collect bacteria easily, and this is especially the case in areas like industrial kitchens or gyms where extensively tiled areas are exposed to water, dirt, and bacteria sources regularly. But what does it take to sanitize them, protect them, and keep them looking as clean as possible? Read on for more information. Ceramic tiles are made of an extremely durable and versatile material that lasts for a long time, but they still tend to wear slightly and get dirty fast. Tile is typically in the vicinity of bathrooms and kitchens and is, therefore, being regularly exposed to water, which means it’s vulnerable to mildew, moisture, and soap scum. 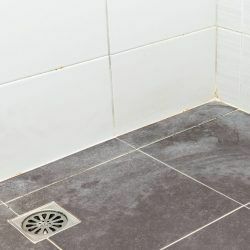 When tile is combined with a porous grout, you’re left with two materials that in the long run are decent choices for water-exposed areas, but only if they are regularly maintained. The truth is that grout collects dirt quickly and is hard to clean with regular tile cleaner. Even the best ceramic tile cleaner or floor cleaner that you get from the supermarket can only get out some of the dirt in your tiles and grout. Kitchens and sinks need to be kept extra clean, especially in restaurants or industrial manufacturing environments. The same goes for other places that have large washroom and shower facilities, such as gyms and pools. In both places, you worry about contagious and food-borne diseases and bacteria that you can’t afford to worry about affecting clients and customers, or it could necessarily be the end of a business. The same goes even for other health issues like mold and mildew. Even with the best tile and grout cleaner, there may still be particles lurking in the grout. So you should schedule regular cleanings with a professional company. The more effective way to clean tile floors is by getting into the grout since that’s where the dirt, mold, and toxins build-up over time. This task can be quite finicky and time-consuming, which is why this type of cleaning can cost more than others. To clean grout properly, you’ll need a professional application of cleaner, a high-pressure strategy to rinse off the cleanser and to get deep into the dirt. Pressure washers and other specialized equipment are sometimes used to clean grout as well. Keeping grout and tile clean isn’t easy, and if you have a large or heavily used area to cover, you’ll almost certainly want to look into getting professional tile cleaning services. For more details about tile and grout cleaning services, contact JAN-PRO, and we’ll be happy to provide you with a free quote today.